Published: April 1, 2015 at 04:14 p.m. 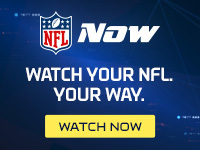 Updated: April 2, 2015 at 09:42 a.m.
For the second time since releasing Andre Johnson early last month, the Houston Texans have bolstered their receiving corps. Two weeks after adding ex-Jaguars wideout Cecil Shorts, the Texans signed former Titans wide receiver Nate Washington, the team announced Wednesday. Washington averaged 51 receptions, 765 yards and 14 starts across six seasons in Nashville. Demoted in favor of Justin Hunter early last October, the 31-year-old appeared to be a player in decline. Although Washington is valued for his reliability and leadership skills, he doesn't contribute on special teams. Aging receivers of that order are rarely guaranteed roster spots. DeAndre Hopkins and Shorts are locked in as the top two receivers, leaving Washington to compete with Damaris Johnson, DeVier Posey and Keshawn Martin for the No. 3 job. The addition of Washington shouldn't prevent the Texans from addressing the position in the 2015 NFL Draft.